As the world’s population continues to grow, it’s important to keep a keen eye on our energy. We can always produce more, but when we can lessen the demand it will help us to last longer on this earth. When you’re putting on a new roof, it’s important to keep energy in mind. Not just the energy that you will be saving when upgrading to a metal roof, but the energy necessary to manufacture and ship the roofing material itself. 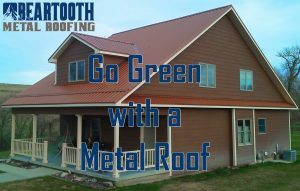 As your choice for metal roofing in Billings, MT, here is what you should keep in mind with energy and roofing materials. Metal roofing materials use less energy to produce than their asphalt counterparts. In some cases, such as aluminum roofing, you can buy a product that is made up of almost all recycled materials. While there are recycled asphalt shingles, they’re not common. When covering the roof, metal actually weighs less per square foot than shingles. This means it uses less energy to put it on a truck and ship it across the country. Metal is longer lasting than shingles. When comparing the two materials, you will have to replace your asphalt shingles 3 times to every 1 time with metal (even more often if you suffer storm damage, which is very likely here in Billings). That means much higher energy use for material production over the lifespan of your home. Many metals have reflective materials embedded into the pigments. This is designed to reflect more of the sun’s energy back into the sky instead of being absorbed. This means you use less energy to keep your home cool in the summer. Head doesn’t degrade metal roofs. An improperly vented attic space will cause your shingles to curl and wear out quickly. That won’t happen with a metal roof. Although it is always better to adequately vent to reduce the heat built up in the attic. Metal, especially metal shingles, have integrated air spaces. These act as a thermal break, or a buffer, between the hot metal roof and the roof deck. They serve to further reduce your heating costs. Metal roofs are far superior than shingle roofs. However, they are also quite a bit more expensive to install (over the lifespan of the roof you will end up saving money; the initial costs are more than asphalt). This leads many people to install asphalt shingles instead. If this is the route you choose, keep these considerations in mind. Color – A darker roof is a hotter roof. If you have a usable attic space, your attic space will get warmer if you install a darker roof than the previous one. Lifespan – Shingles are rated based on how long they are designed to last; the longer lasting shingle is thicker and will hold up to storms better. So a 20 year shingle is cheaper, but won’t last as long and may get knocked out by hail more readily. A 50 year shingle is more expensive, but it’s going to last longer and be tougher. Installation – This goes for no matter what roofing material is installed. When you get bids, even when the materials are all equal, you may get a wide range of prices. One reason is steps are sometimes skipped. The contractor might leave the old shingles down and not do tear off, or they may miss important steps because they simply don’t know better. 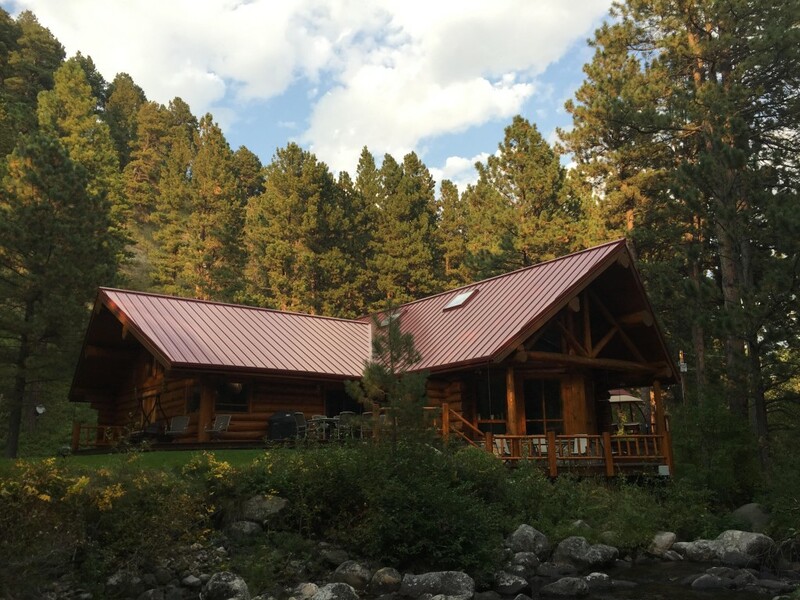 If you’re in Billings, or even within a couple hundred miles of Billings, and you want a new roof that is going to last longer, reduce energy consumption, and look amazing on top of your home, you need to get in touch with us! We take pride in crafting the roof so that it looks beautiful and isn’t just slapped up. Ready to do your part and help reduce energy consumption around the world? Give us a call at 406-839-0084.